There’s the familiar green diamond and the familiar summer sounds: the crack of the bat, the thump of the ball in the glove, and the calls of “Good eye, good eye!” But there’s a difference between this game and the one frequently celebrated by writers from George Will to Bart Giamatti. The players, in this case, are not the boys of summer. Instead, on this cool evening, we’re watching the girls of summer, specifically, the girls of the Cleveland Heights-University Heights Girls’ Softball Team, who play similar teams from similar suburbs. On the bench in front of us sits a row of girls with almost identical ponytails sticking out of their baseball caps. At any one time, about half of them are removing caps, bending over, running fingers through hair, and readjusting ponytails and caps just so. When a runner slides into home, they’re as likely to greet her with squeals and hugs as thumps on the back. You’re also likely to see, at any given moment, a number of players tucking and re-tucking in their shirts. The ideal look seems to be a lot of fabric draped over the waist. But a lot of the girls’ other gestures are common to players of either gender. The infielders bend down with their gloves on the ground, and the outfielders smack their fists into their mitts. The catcher throws off her mask to catch foul balls, and the players high-five each other after close plays. It occurs to me, as I watch, that this is one thing we did right, my generation of feminists, although other achievements might be called into question. For example, is working outside the home all it’s cracked up to be? Are daycare centers good for little kids? Has the sexual revolution benefited women, or just sanctioned male responsibility? There’s a backlash against feminism, wrote Susan Faludi, and when I ask my university students if they identify as “feminists,” no one raises a hand. But let’s leave aside all the tough questions for a moment and say this: If not for feminism there would be no WNBA. Serena and Venus would not be household names. And my daughter would not be playing first base at Denison Park tonight. 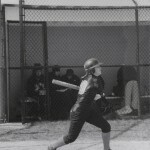 When I was my daughter’s age, there was no such thing as community softball for girls, and my school district had no girls’ softball team, or tennis or track or swimming team. My sister played some basketball for our high school, running only half the floor, because the whole court was way too big for a girl. Basketball was the only organized girls’ sport we had, other than cheerleading. I learned to play catch from my dad and watched the Indians on TV with him, but many of my friends never even did that much. 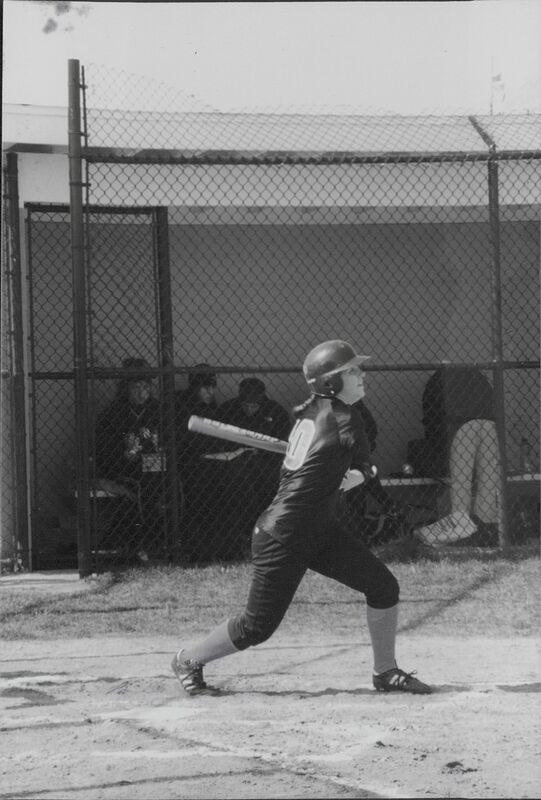 When we occasionally played neighborhood softball, my friend Peggy’s most cherished goal was to “hit it into the green part,” by which she meant “out of the infield.” Though there have always been fine women athletes, many women my age still throw a ball like a girl. 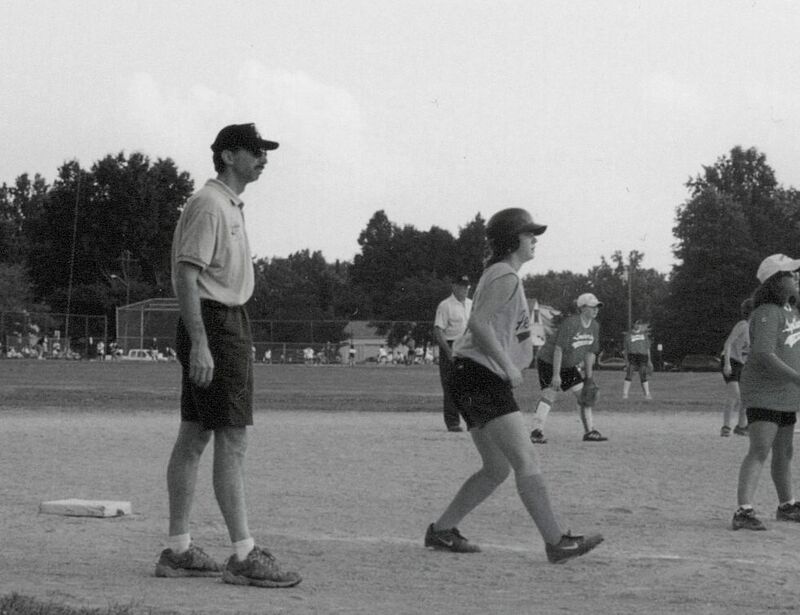 Margaret’s coaches—all dads—do two essential, very good things: they teach their players how not to throw like a girl, and they never use that expression. They explain how to put your arm behind you and snap the ball backwards before you throw. They take for granted that “throwing like a girl” is not in the genes, but in the mechanics. Throwing correctly is a learned skill, a skill most boys learn by playing all the time. Which most women of my generation never got to do. My daughter’s three coaches are serious and intense, but never mean. They’re always teaching. They love and respect their daughters. They advise them constantly on the kind of pitches the opposing pitcher is throwing, the appropriate strategies with runners on base, the idiosyncrasies of the umpire, and the need to shift your weight when you’re hitting. They teach the girls how to catch a fly ball on the run and when to choke up on the bat. 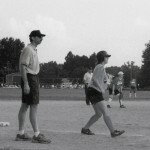 Whereas some of my friends have never heard of the designated hitter and call runs “points,” Margaret’s team understands the infield fly rule. Nowadays Margaret and her teammates may sneer at feminists, just as people used to sneer at suffragists. But tonight their lithe, beautiful, strong bodies catch and throw balls, run the bases, make double plays and try to hit the cutoff girl, and, frequently, hit the ball way, way out into the green part.